When the gray of winter starts to take a toll, it’s easy to add a bit of colorful art (and flavor) back into the day. Chase the gray away with these watercolor cookies decorated by the kids! The beginning of February usually has Seattlites booking last-minute trips to sunny destinations to soak up even a little Vitamin D. Even though our months of gray are interrupted occasionally with sunshine, I set up a craft to add color into our day and incorporate a little fine art, too: watercolor cookies! Today I’m sharing this fun, engaging, and ever-so-tasty kid’s craft here on Ann Marie John! Pop on over to see how easy it is to set this up and get the kids interested in exploring fine art! This is such a cool idea!! I found you on The Party Bunch, but I would love if you would stop by my blog and share them on the My Favorite Things link party. The other girls would LOVE these! Oooh Sarah, these are so pretty! Love it. These are co pretty cookie and love the other cookies as well. Lovely. 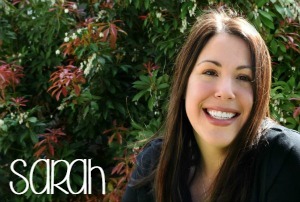 Sarah this is such a fun idea to share with the kids! Love it so much! Thank you for sharing on VMG206 Brag About It link party this week! Thank you for guest posting today. 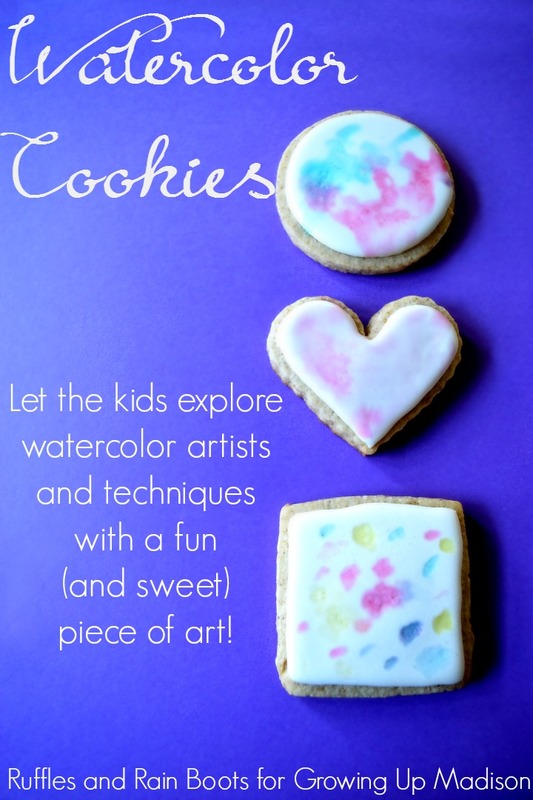 We do plan on making these delightful watercolor cookies. Madison would have a blast doing them and everyone will enjoy eating them after they’re done. Here’s to a fantastic week! I can’t wait to see the whole thing! I always enjoy your cookie posts! Vitamin D…we could seriously do with some of that here!